Truly Korean pop culture or KPop is impacting the world. 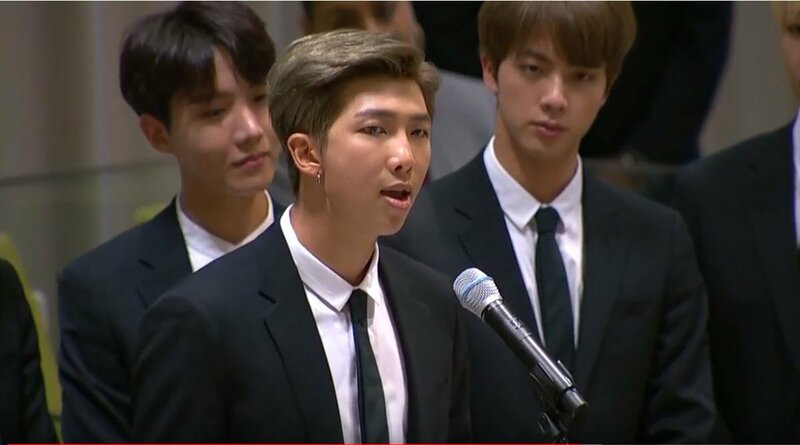 BTS this Monday, September 24, 2018 became the first ever Korean band or idol group to speak at a high-level organization such as the UN. This is indeed a great accomplishment not only for them but for South Korea itself. This is the main summary of the message delivered by Kim Namjoon or Rap Monster, the leader of BTS. His speech lasted about six minutes. It was a message which encourages everyone to accept themselves, do not quit, dream and reach for whatever they want to be. It was indeed a message of hope. It was a much-needed message in a world where suicide is unexpectedly increasing. It was BTS' tremendous impact in today's global youth culture that led to their appearance at the United Nations. They had been a group that is so famous but never forget the essence of what is important in life. BTS is recognized as UNICEF’s goodwill ambassadors for the Generation Unlimited partnership. As an ambassador, they pledge part of their physical album sale from "Love Yourself" #ENDviolence campaign. The campaign is said to have raised (as of now) around KRW 1,154,593,599 (INR 7,40,52,169.). #SpeakYourself had also been trending on Twitter and you can read how BTS create a positive impact on people. What about you? How does BTS affect your life? View the Twitter thread about BTS at the UN here.